Ireland October 2013: Opel Insignia and Dacia Duster on top! With new license plates being issued in January and July, the Irish new car market traditionally dies off towards the end of the calendar year, and this month is no exception at just 1,696 registrations, up 2% year-on-year but down 46% on September… Small market means high volatility in the models ranking and indeed October gives us a lot of surprises in Ireland: the Opel Insignia takes the lead with 79 sales and 4.7% share, followed by the… Dacia Duster! 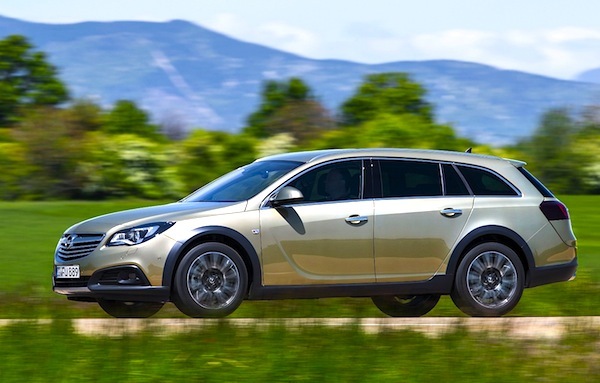 Excellent performance of the French-Romanian SUV at 71 units and 4.2%. The VW Polo rounds up the podium, with other great performers this month including the Toyota Corolla at #5 vs. #20 year-to-date, the Kia Sportage at #7, Skoda Superb at #8 vs. #27, VW CC at #22 vs. #59 and VW Beetle at #32 vs. #76. We welcome two all-new models inside the Irish Top 50 this month: the Renault Captur at #36 and the Dacia Logan MCV at #39. Finally, notice the Peugeot 2008 at #50. Full October 2013 Top 50 models and Top 30 All-brands Ranking Tables below.